Helping teachers network with peers to learn! Teachers from Government-run schools in Karnataka come together once every month under Sarva Shiksha Abhiyan, Karnataka to share their practices with each other and network with peers. Schools are grouped together as clusters and these cluster-level monthly meetings help government teachers share and learn. 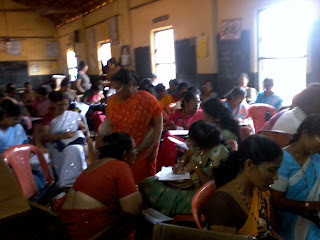 The Teacher Foundation in Mangalore took these Cluster-level Monthly Meetings to a new level this time, organizing "Afternoons with TTF" in two School Clusters in Mangalore, in association with SSA, Mangalore on 27 November 2010. Shades of our Schools is a docu-film, commissioned by The Teacher Foundation with the support of Sir Ratan Tata Trust, Mumabi, which explores the teacher-student interactions in our classrooms. 29 teachers from Badagekaar Cluster participated in the screening of the film, followed by a discussion on 27 November 2010. Vishnu Naik, Facilitator, TTF led the discussion and the screening of the film. "Teachers need to be patient with children. I want to focus on the work of each child and to be soft spoken towards children after watching this film!" said Bhagyamma, a teacher from the Badagekaar Cluster. "I had an opportunity to see children with different attitudes. After watching the film, I am thinking of ways in which I can actively involve children in my classroom!" said Padma, another teacher. Misconceptions in Learning is an interactive session built around a set of videos developed by Wipro, Educational Initiative and India Today, exploring how and why children develop wrong mental models. 20 teachers from Babbukatte Cluster participated in the session. 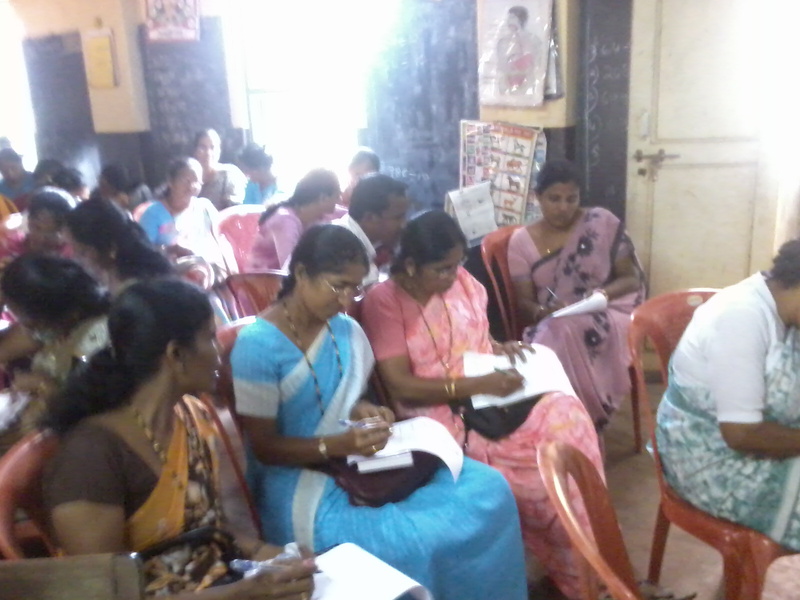 Sojo Varughese, Sr. Centre Coordinator, TTF Mangalore led the session. "As a teacher I need to focus more on understanding how learning happens! That is what I realized today, during the session on Misconceptions in Learning! " said Rustin D'souza, a teacher from Babbukatte Cluster.